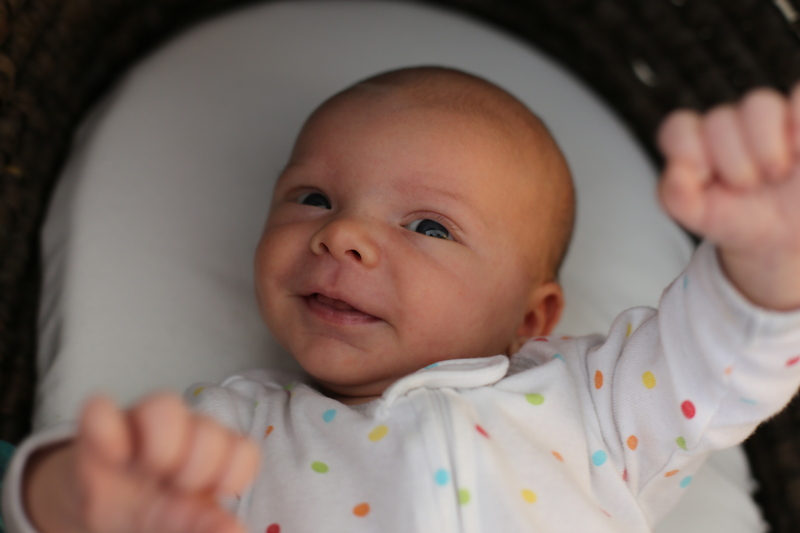 Harrison’s first smile caught on camera! Many more to come. That smile tells me he already knows how lucky he is:)! How could he be anything but? God’s wonderful creation! Harrison is just adorable – just like his parents…….